“A great forum for people with radically different perspectives to have a reasonable discussion” – that’s how playwright Sheri Bailey characterizes one of her most popular plays, “Abolitionists’ Museum,” in which wax figures, including Abraham Lincoln, Harriet Tubman, Sojourner Truth and Frederick Douglass, come alive to debate the symbolism and presence of the Confederate flag. Bailey, a Portsmouth-based writer, teacher and activist who seeks to share and broaden awareness of African-American heritage, visits Eastern Mennonite University (EMU) as part of the Writers Read series. She will speak Thursday, Nov. 5, at 6:30 p.m. in the Common Grounds coffeehouse in University Commons. 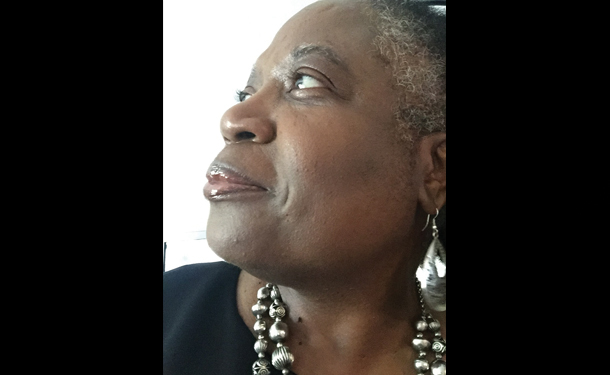 “As a Southern black woman playwright, I am compelled to help others to witness how, on the backs of daily acts of simple decency and courage, each of us can lift up those who would be burdens,” she wrote in a June 2015 guest column for PilotOnline.com. Bailey is committed to promoting historical understanding and healing of racial divides, says Professor Michael Medley, who met her when she attended EMU’s Summer Peacebuilding Institute in 2014 and invited her back to campus. Educated at University of Pennsylvania and UCLA, Bailey has taught at University of Southern California and Old Dominion University. From 2004-2008, she served as a school board member for Portsmouth City Schools. Lauren Jefferson, I appreciate your article. You did your research and I found out stuff about me about which I had no idea. Thanks so much.